What Are Some Easy Ways To Protect Your Joints ? You should know how to protect your joints regardless of whether you work out or not. Your wrists and your ankles are extremely important in everyday movements. All those who have ever had problems with their knees also know how incredibly uncomfortable it can be to perform easy tasks like bending to pick something up, oreven trying to take our the garbage. So let’s have a look at some easy ways to protect your joints. If you are into the habit of working out, making sure that you are performing your exercises with the proper form is one of the simplest ways to protect your joints. Make sure you hold your dumbbells with a tight grip, and that you follow the right form when doing bench presses or even bicep curls. The same goes for your squats- make sure you don’t go with your knees over your toes as you lower your body, so as to make sure that you’re not putting toomuch pressure on your ankles. If you want to effectively protect your joints and prevent injury, you could try a few supplements. There are plenty of natural alternatives, like fish oil (either eating fish or taking fish oil pills). And believe it or now vitamin C also helps to protect your joints. Some other substances that help are silicone and gelatin (type II collagen). Maybe this tip should be on top of the list, but I just wanted you to keep this one last thought in mind: if you want to protect your joints, you must treat rest with as much importance as you treat your workouts. This can mean two things. First, you have to make sure that you don’t work out too much, and rest too little. It’s important to get at least one day of not going to the gym per week. If you can’t stand it to not move a little, you can have an active rest day, where you go for a walk or an easy bike ride. But the rest can also refer to giving yourself a break if something feels wrong. If you want to protect your joints it’s not smart to push through with a workout if you feel pain during or after your workout. If you don’t give yourself a break and let your joints get healthy again after an injury (even if it’s really minor and it just hurts a little), the situation will only get worse. Tell us: how do you protect your joints? 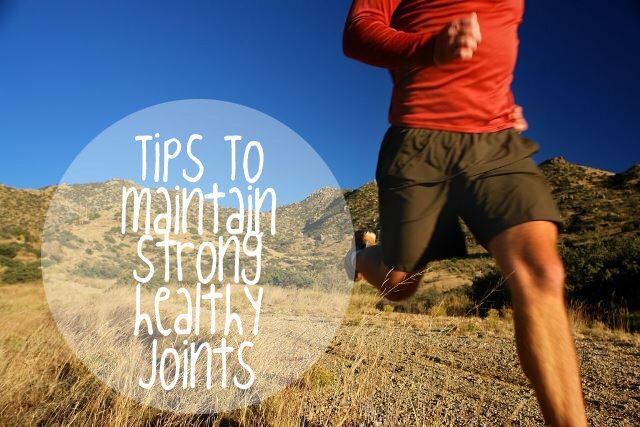 Share your tips on howto keep your joints healthy in a comment.